"It is so refreshing and it's sweet and tasty." 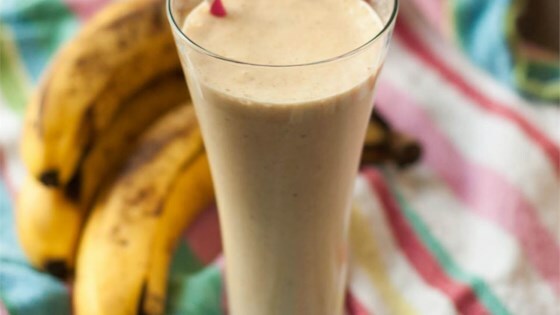 You can also use frozen bananas and omit the ice cubes. Very good, think next time I will add a little more peanut butter for some more peanut butter flavor.